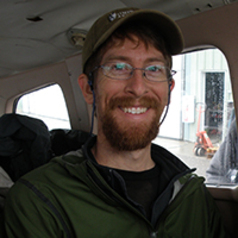 As a restoration ecologist, Dr. Leighton Reid aims to improve ecological restoration outcomes through applied research, capacity building, and public engagement. Since 2014, Dr. Reid has been in the Center for Conservation and Sustainable Development at the Missouri Botanical Garden, where he collaborates with botanists, reintroduction biologists, and conservation ecologists to address biodiversity conservation issues regionally and globally. Dr. Reid co-directs the Restoration Ecology program with Dr. James Aronson. Dr. Reid’s research encompasses tropical and temperate terrestrial ecosystems in the United States Central Highlands, Costa Rica, and Madagascar. His approach includes observing ecosystem recovery, identifying barriers to ecosystem development, and designing and testing strategies to improve restoration outcomes. Dr. Reid has studied birds, bats, seed dispersal, tree communities, vascular epiphytes, and human dimensions of restoration in southern Costa Rica, small mammal communities in California and Oregon, and long-term plant community changes in eastern hardwood forests. Dr. Reid teaches Restoration Ecology at the University of Missouri Saint Louis. He has served as a resource and visiting faculty member for numerous field ecology courses with the Organization for Tropical Studies and has taught a high school study field ecology course in Ecuador. Dr. Reid also participates in the Missouri Botanical Garden Research Experience for Undergraduates program.